The newest hotspot in town is situated in the Amsterdam Bank building, dating from the 1920s. The spacious restaurant and bar Kluis (which means safe in Dutch) has a New York allure. The brick walls, brown leather sofas and immense green plants make for a beautiful decor. This all-day spot is open from 7:30 in the morning until 10:00 at night for incredibly tasty breakfast, lunch and dinner dishes. The comfort food menu takes you on a trip around the world with international dishes, all prepared with a refined twist. For breakfast restaurant Kluis serves very well upgraded versions of dishes you would find on many menu’s in Amsterdam. 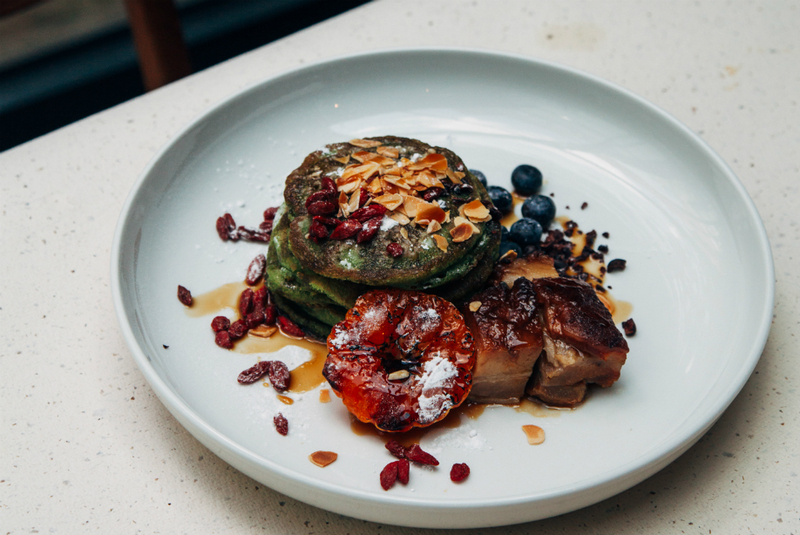 The Matcha Pancakes with home smoked maple bacon, caramelized banana and syrup and the Homemade granola with frozen aloe vera yoghurt, charred peaches, mint, chia seeds and bee pollen are two definite favorites. With their lunch menu they take it even further. The Crispy Peking Duck salad, Pork Neck Baguette and the Sloppy Vegetarian cauliflower Burger are just a few of the delightful options on there. Or how about the Classic Fish & Chips with a twist? The brown beer battered Haddock fillet comes with triple cooked chips, pea puree and tartare sauce. At night Kluis offers a fine dining experience with elegant wine pairings. 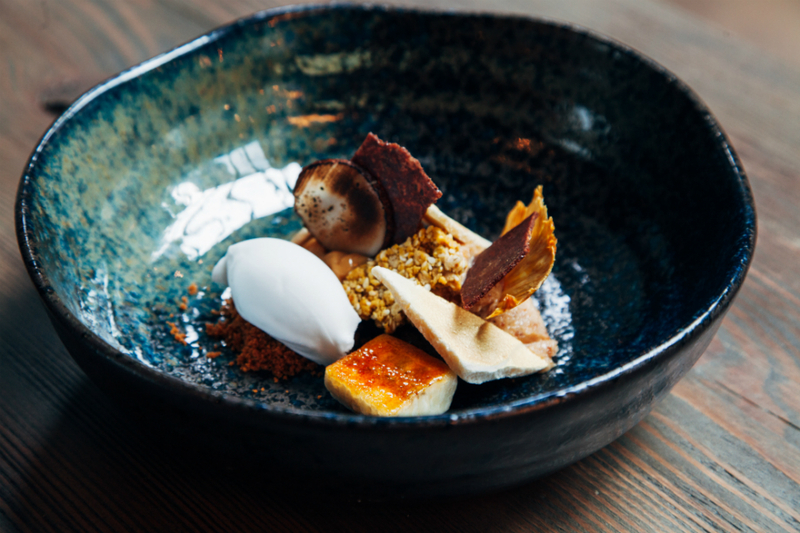 Get acquainted with the chef’s skills by choosing between a regularly changing 3 to 6 course tasting menu. Expect high quality products like Caviar, Coquilles, Quail and Portuguese selection of cheeses. After dinner it’s time to head to the bar area hidden in the basement. On the same location where actual gold use to be stored, you’ll now find the best in liquid gold! Monday - Sunday 7:30 a.m. - 10:00 p.m.